The clients for this project originally wanted to upgrade the waterfront condo they purchased as an investment property and then put it on the market for leasing. After the remodel was completed, the clients fell in love with the results and decided they wanted to keep the condo as their vacation home. 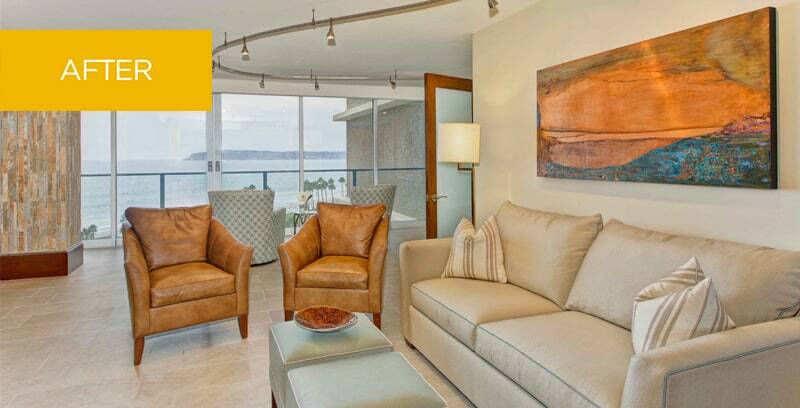 With its stunning views of the Pacific Ocean, this condo has a natural focal point. The new space was designed with thoughtful innovation and restraint to make the most of its surroundings and create a sense of seaside luxury. Elements of the home were developed with universal design principles. 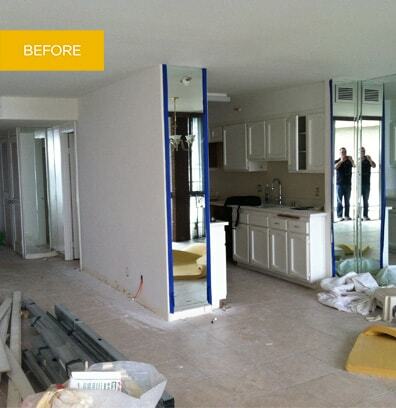 The remarkable transformation of this 1200 sq. foot home included a great room, kitchen, master bedroom and two bathrooms. The design needed HOA approval and had to meet the challenges of working in a luxury high rise with multiple restrictions. Strict diligence was required to follow the building’s rules and keep the work area clean. An unusually tight schedule was necessary to finish the project before vacation season started, in accordance with building regulations. The clients love their new home for vacation time and sharing with friends. They feel as if they are living in their own personal resort.